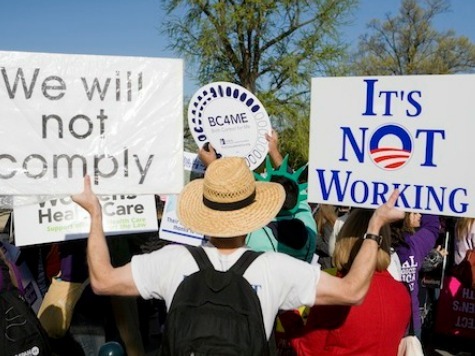 Most Americans disapprove of Obamacare. In a poll conducted in July by the Kaiser Family Foundation, which supports the goals of Obamacare, 46 percent of respondents disapproved of the law while only 40 percent approved. 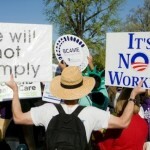 The first poll was conducted in April 2010, when Obamacare was fresh off the press. Then, 46 percent of the public favored the new law, while 40 percent opposed. In July 2010, half of respondents voiced support for the law. In the mind of the American public, that was Obamacare’s high-water mark. It has been downhill since then. What seems to be particularly attractive about the retail clinics for the young and healthy is their convenience — they’re open nights and weekends, often without requirements appointments, and without long waiting times. Almost half of their visitors arrive when regular officers are closed, making these clinics far more convenient to those who work. 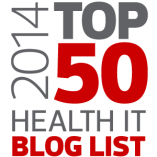 Sanjay Bansu at The Health Care Blog. Let us set up two distinct systems for health care within our nation. Call one the Social Solidarity system and the other the Libertarian system. Ask young people — at age 25 or so — to choose one or the other. Good stuff. More here. And, why restrict the choice to health care? Started in 1972 to help poor kids pay for college, Pell Grants are now so broad that more than half of all undergrads benefit. Because the amount of a Pell Grant for full-time study depends on both a student’s financial straits and the cost to attend school, better-off students often receive the large Pell Grants and apply them to more expensive schools. Universities learned long ago how to capture the extra cash and adjust their price schedules accordingly. While Pell Grants and other student aid are intended to make college more affordable, they’re contributing to the ever-higher tuition spiral. Write 100 times on the chalkboard: Student aid raises tuition. College health plans…are also expected to become more costly as they accommodate the benefit requirements of the health law. A few schools have had their prices rise so much that they have decided to drop their health plans altogether…Many plans that provide limited coverage are raising their premiums as much as 50 percent to comply with the new law’s requirements for coverage, according to Stephen Beckley, a student insurance consultant and co-organizer of the Lookout Mountain Group, an organization of college health professionals. We’re still down 4.6 M private sector jobs from the employment peak in January 2008, compared to down 407,000 government jobs. For every net lost government job since employment peaked in January 2008, the U.S. economy has lost more than eleven private sector jobs. That’s the opposite story from the one told by the President. While the U.S. economy has been slowly creating private sector jobs over the past 2 1/4 years, the hole left to fill is overwhelmingly one caused by the destruction of private sector jobs. The President is right that the public sector is not creating net new jobs because of local layoffs. But by focusing on recent trends and ignoring the nearly nine million private jobs lost before his measurement window began, he is leading us to the wrong conclusion. Even if government job growth were to resume, our economy needs to create millions more private sector jobs to be restored to full health. Oh, and Paul Krugman is just as wrong as President Obama. Full Keith Hennessey post worth reading. CBO: Federal debt to double in 15 years. 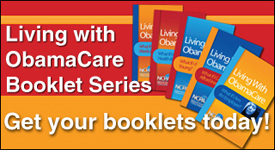 HHS has missed nearly half of ObamaCare legal deadlines. Bloomberg bans food donations to the homeless. This is Gary Becker, writing at the Becker-Posner blog. Posner’s view on homosexual marriage at the Becker-Posner blog.